(Indicate if you require a Vegetarian or Vegan Meal -AND/OR- Report a Food Allergy.) Please note that requests for Kosher Meals will be substituted with a Vegan option. A complete overview of the conference program is provided in the Conference Registration Brochure. CLICK BUTTON at TOP of THIS FORM to VIEW / ACCESS. Your dinner tickets are included in the price of your registration. To help us manage our food and beverage costs, please confirm below if you are attending these events. Opening Partner Reception. Welcome Dinner & Evening on Wednesday, May 8th? Gala Awards Dinner and Evening on Thursday, May 9th? I will not be attending a Pre-Conference Event. If no foursome has been indicated, the OASIS team will pre-assign you to a group of 4 (at random) prior to your arrival at the course. Will you require club rentals? Will you require transportation to/from the Hilton Hotel and Golf Club? Ensuring the health and stability of an organization’s leadership is a primary objective of all CEO’s, Executive Directors and Board Members. Finding the right people is just the first step to achieving that goal. This engaging and informative session from one of Canada’s leading executive training institutions will help you create a plan to ensure that emerging talent is nurtured. Through the analysis and discussion of a case study, this workshop focuses on issues involved in identifying, developing and retaining leadership talent, as well as promotion decisions and their consequences. The case describes how anew senior vice-president of marketing at Vista-Sci Health Care Inc. must decide which of two good internal candidates he should promote to the position from which he has just been promoted. Each of the candidates has demonstrated strengths and weaknesses in their current jobs, however, their personalities and styles of leadership are very different. The question is whether these competencies and other personal characteristics will make them a good fit for their new roles. Through an interactive and lively session, participants will learn best practices for spotting emerging talent within organizations and learn how to make effective decisions around selection and succession. What are the 5 most prevalent fundamental causes of challenging behaviours of people with developmental disabilities as reported by over 3,000 moms, dads, educators, support and behavioural-psycho-social professionals who have been trained in Conscious Care and Support (CCS)? How can these causes be corrected so as to not further traumatize the person supported through the use of restraints, ineffective consequences and/or isolation to significantly improve the quality of life of the person supported; reduce injury and trauma to the person supported and supporters; reduce financial costs of support? Join us for this highly interactive workshop to learn answers to these questions and essential Conscious Care and Support (CCS) Awareness Based Calming (ABC) correction skills. This will include the demonstration of the ‘Behaviour Preventer’ that, based on live streamed bio-feedback helps to predict imminent pending challenging behaviours in sufficient time for supporters to offer Awareness Based Calming to prevent escalation. Are you looking at ways to achieve cost savings without impacting quality supports to people? Have you considered back office supports as a way to achieve this? Come hear directly from a Board member who was successful in facilitating an agency's strategy to achieve exactly that – efficiency, cost savings, agency autonomy and expert supports. The new company, Creative Team Solutions, facilitates expert service in the areas of Finance, IT, Human Resources and Executive supports from qualified professionals and cost savings for all participants. Malicious intrusions, human mishaps or rogue activities pose real threats to security and privacy that can no longer be overlooked. Nerds On Site and ADAMnetworks will be sharing insights into internet security, which will help demystify the real threats that agencies face today. Together, they will explore the latest solutions to effectively address your current cyber problems in a cost-effective and practical manner. Now that you understand more about the emerging IT security threats, how can you quantify the exposure for your own agency? Are you comfortable managing this risk using agency resources? Is it better to invest in additional IT security, transfer the exposure to insurers, or some combination of both? We will explore ways to quantify your own risk, and touch on how the insurance market has evolved to provide solutions to this ever-evolving threat. Keeping up to date on the law to ensure that your organization is in compliance with legislation and precedent setting decisions may seem daunting. This session will help you navigate the increasingly complex legal framework that HR Professionals work in, addressing some key challenges agencies are facing including collective bargaining; integrated community based service systems, resident confidentiality and social media. Hicks Morley Hamilton Stewart Storie LLP is a leading law firm in Canada representing employers on human resources and advocacy matters, with intimate knowledge of local labour and employment issues. 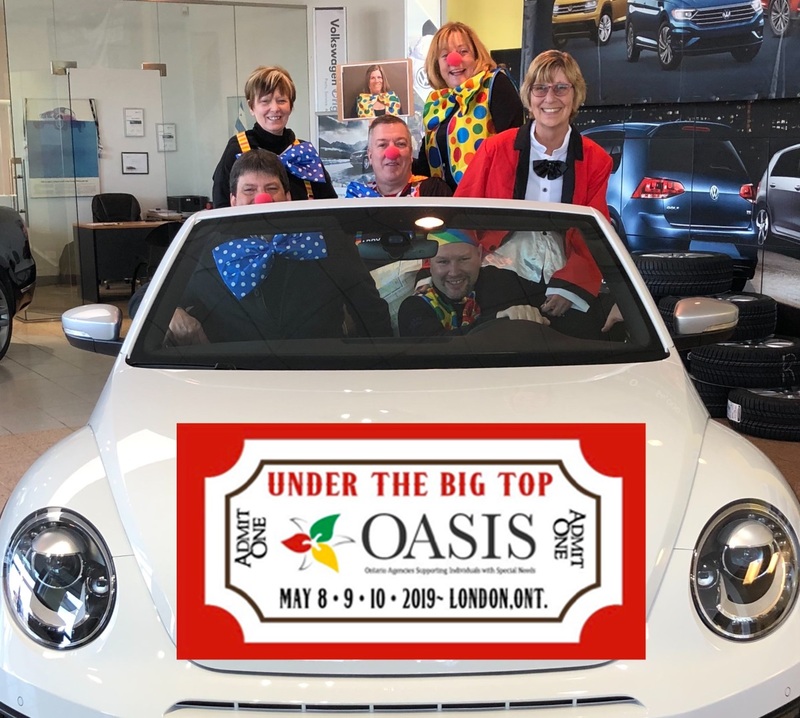 As the leader in the developmental services sector, OASIS is excited to support our member agencies on their journey to discovering how the innovation within the technology sector can support the creativity needed in providing supports. Conference delegates will have the opportunity to engage with and listen to pioneering companies that have designed products that will certainly be of interest to you and the people supported through your agency. Join us in the Centre Ring as one of your Concurrent Session options and meet with local Technolgogy Experts. Each Concurrent Session block will feature a couple of innovative organizations that will present and engage with you on technology solutions. Do you know why some organizations are more successful than others? Here’s a hint. It has nothing to do with their people waking up earlier, working harder or having prestigious degrees. They simply have leaders who make five decisions every single day. Do you know what they are? Don’t worry, Stuart Knight does, and he’ll inspire your team to make them. Warning: This will lead you to greater success and will even make you happier in life. In the DS Sector, the term “Social Enterprise” has commonly been used to refer to sheltered work programs – but Social Enterprise encompasses so much more. In this seminar, we will discuss the legal strategies and social enterprise success stories that are creating opportunity, facilitating supported employment transition, and enabling financial security and stability for people and agencies in the DS Sector in Ontario. PooranLaw will review the human rights and employment law imperative for change and social enterprise development, as well as the labour, employment, corporate, tax and charities law considerations for agencies considering social enterprise development. Deepak will then review how all these legal variables have come together in an incredible social enterprise success story at Corbrook. Social Capital is not a new concept. The premise of connections, which help people to develop interpersonal relationships, find commonality, and enhance the common good, has been part of communities for generations. This session will explore how organizations and agencies can strategically use social capital to improve the quality of life for people in their services. This session will discuss the steps, hurdles, decisions and lessons of three boards becoming one board in an amalgamation of three Community Living Agencies. Kawartha Lakes, Peterborough and Haliburton have all joined to become Community Living Trent Highlands and as a board there is much to reflect on and offer as insights. The Board president of the current CLTH board of directors will offer insights, information and successes in this presentation. The presentation will review the journey from the first mad cap suggestion of approaching amalgamation to the final letters patent and operationalization of a brand new corporation of combined legacy agencies. We will be addressing the growing challenges of providing quality and quantity of individualized fee-for-service options for individuals and families in the sector. Focus on how MyCommunityHub can support service partners bridge the gap in providing families with options across Ontario by being able to search, register and pay for programs and services online. Within the next five years, it’s estimated that 60 percent of senior leaders including, CEO’s and Executive Directors will retire from Government Funded Agencies. At the same time, there is an increasing mandate from the government and from within the sector(s) to realize transformational change with respect to the delivery of services. The movement toward person-centred approaches within inclusive, community- based settings along with the ongoing issues of attracting, developing, and retraining top talent all speak to the need for increased and divergent leadership skills in order to create impactful and sustainable change. This interactive presentation will address the challenges and opportunities associated with retaining valuable knowledge and best practices among existing Executive Directors/CEO’s, closing leadership gaps that will exist through attrition and the transformation of agencies, executing on change management initiatives, expanding managers’ repertoire of leadership skills, engaging employees in continuous improvement and Collaborative Performance ManagementTM, and enhancing agencies’ abilities to promote employment pathways and the retention of talent. If you have any questions, please contact Bettyanne Sherrer, ProPlan Conferences & Events, at 416-528-4509 or [email protected]. Cancellations must be received in writing prior to Friday, April 26, 2019. A $50 administration fee will apply regardless of the status of payment. Registrants who fail to attend the program or cancel after the deadline shall be liable for the full fee. There is no charge for delegate substitutions, but sharing registration is not permitted. THANK YOU TO OUR CONFERENCE SPONSORS! !